Russian Culture Minister Vladimir Medinsky has paid tribute to the victims of the Sobibor Nazi death camp, where over 200,000 people were murdered in occupied Poland, in a solemn memorial ceremony Wednesday. 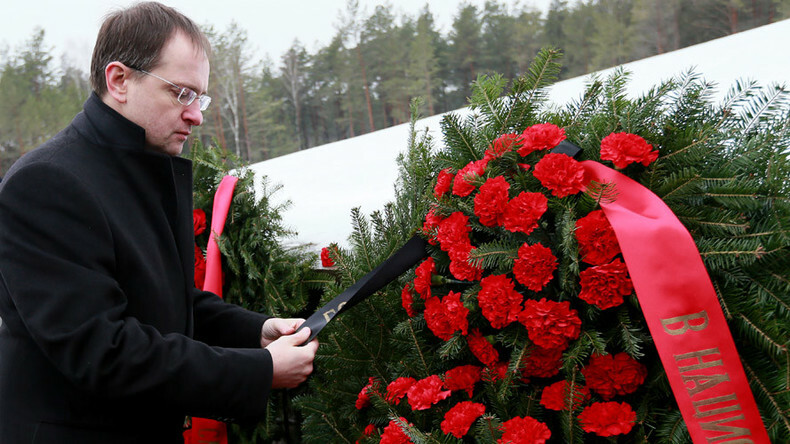 Medinsky participated in a wreath-laying ceremony in Sobibor, a village not far from the Polish-Ukrainian border. Tens of thousands of Jews from across Europe and Soviet prisoners of war were exterminated in 1942-43 at the secret death camp. It was razed to the ground by the Nazis themselves after a mass prisoner breakout, led by Soviet officer Aleksandr Pechersky, in October 1943. Four hundred Sobibor inmates out of 550 joined the revolt, killed several guards and crossed a minefield to escape. About 80 people were killed while fleeing and around 170 were found and executed during raids by the Nazis. Only 53 participants of the Sobibor escape survived World War II. Seven of the Sobibor escapees are still alive today. The Sobibor death camp breakout “was the only example in the history of World War II,” Medinsky said. A monument depicting a mother holding her child has been erected on the site. Archeologists have recently discovered numerous artefacts at the site of the former death camp, including thousands of items belonging to the victims, and even the foundations of the gas chambers. The construction of a large memorial complex is to start in Sobibor this year, with Russia expressing eagerness to participate in the international project. Medinsky also expressed hope that the new Polish government would finally make a positive decision to approve a monument to Red Army soldiers who died in Polish captivity in the Russian-Polish war of 1920-21. “We made an offer to the Polish side. The Russian Military Historical Society is ready to install the monument at its own expense. It’s is very small. In fact, it is an Orthodox grave cross,” Medinsky said. 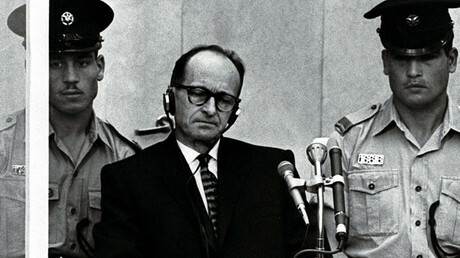 “But there is no need to be ashamed because history exists to draw conclusions; to understand the reasons behind events; and build a common future together,” Medinsky said. “The monuments are there to preserve the memory,” Medinsky said. “We are surprised that the desecration of memorials is taking place in Poland, which considers special attention to the history and preservation of historical memory a part of its national idea."